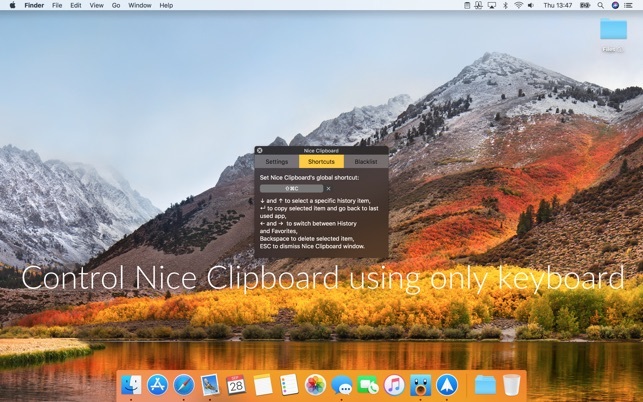 Nice Clipboard is a clipboard history manager that is always waiting for you under menubar icon on your Mac or on your Home Screen on your iPhone. Customizable global hotkey and in-app keyboard navigation let you use it without reaching for mouse or trackpad. 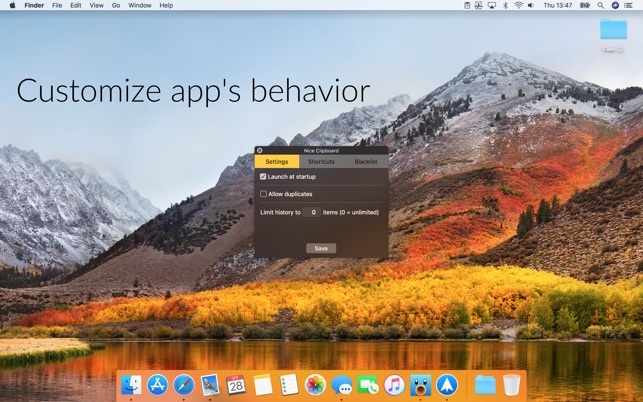 It is synced via iCloud between your Macs and iOS devices and is built using newest Apple technologies to be lightweight and superfast. 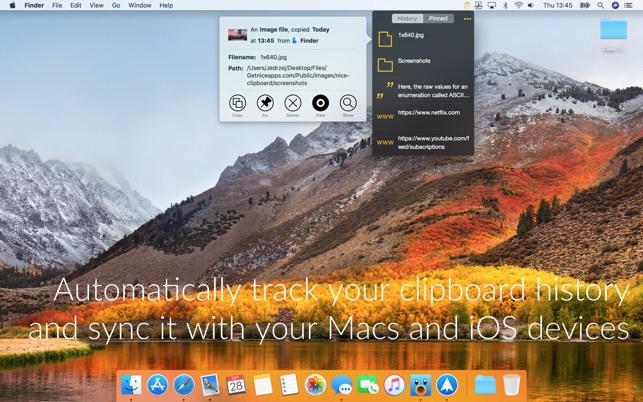 These features make your clipboard a much more useful tool in your everyday life. Excellent implementation of a clipboard manager -- probably the 5th one I've had and my favorite. Clean, attractive, simple to use layout. No-setup-required iCloud sync to other Macs and iOS devices. I installed it on my two Macs -- never had to select any preferences. Copied stuff to one Mac, and bingo -- it just worked. There it all was on the other Mac. Copyright © 2017 Nice Apps. All rights reserved.